Gibraltar Wolves: England out but Gibraltar favourites to win Shield! England out but Gibraltar favourites to win Shield! Gibraltar recently beat the Isle of Man and are now favourites to win the Internatiional Shield. 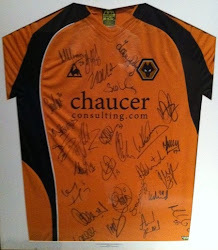 2009 Championship Winners Shirt - THANK YOU SIMON! And so it begins...Euro 2012 that is!